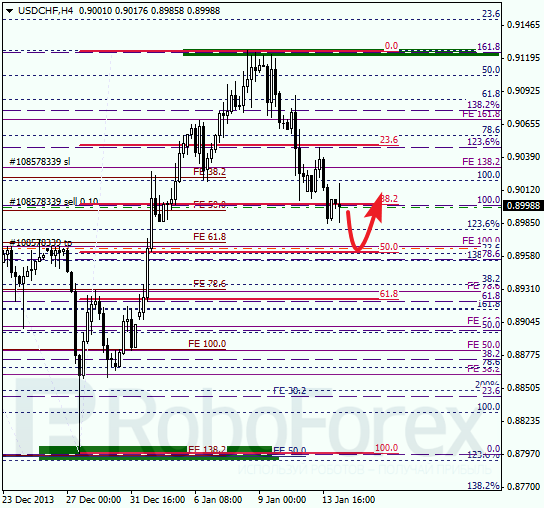 Just as we expected, Eurodollar continued moving upwards and reached new maximum. Yesterday I opened buy order; stop is already in the black. Closest target is at correctional level of 50%. If price rebounds from it, pair may reverse downwards. 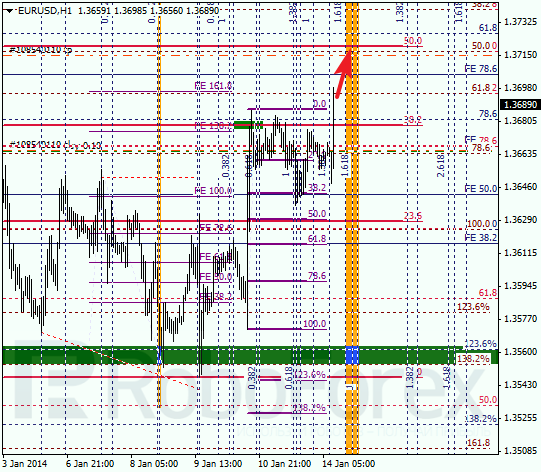 At H1 chart, local correction reached level of 38.2% and then pair rebounded from it. According to analysis of temporary fibo-zones, predicted target at level of 50% may be reached during the next several hours. Franc is also still being corrected; target is at level of 50%. If later price rebounds from it, market may start new ascending movement. Correction reached local level of 50%. Bears’ first attempt to break minimum failed, but they may try again and succeed in the nearest future. Possibly, price may reach its main target during the day.